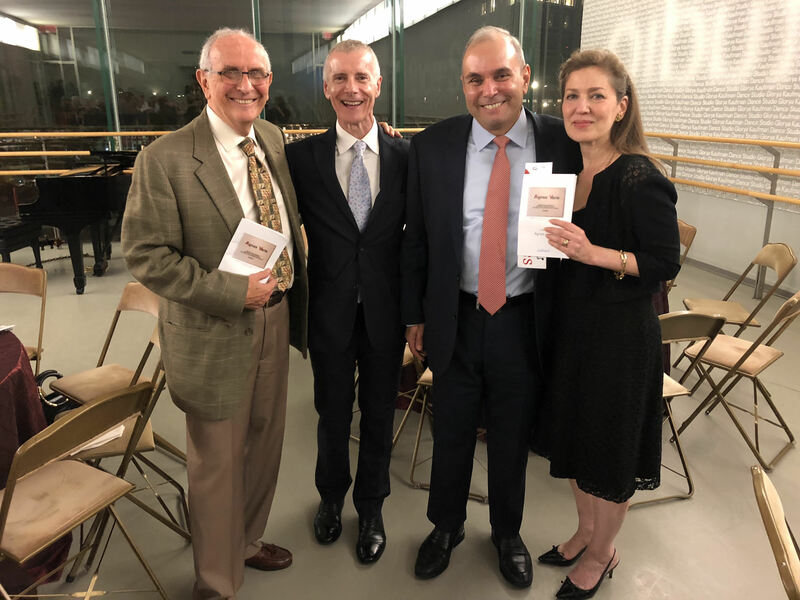 Pictured at the Agnes Varis Closing Dinner are Larry Pitterman, Chair of the UrbanGlass Board; Varis Trustees Paul Feuerman and George Svokos; Cynthia Manocherian, a Board member since 1988, holding up the dinner program featuring UrbanGlass on the cover. On September 20, 2018, UrbanGlass board members Cynthia Manocherian and Larry Pitterman attended the closing dinner for the Agnes Varis Trust, which provided the keystone gift to UrbanGlass that helped pay for the major renovation of its longtime Downtown Brooklyn facility with a pivotal gift that got the institution to the grand reopening and glass ribbon cutting ceremony with Mayor Bloomberg in October 2013. The Agnes Varis event was held at the Julliard School, which was itself a grant recipient. The Charitable Estate Trust was established by Agnes Varis with the expectation that her Trustees Paul Feuerman, George Svokos and Dr. Sami Hawari would, after her passing, spend all the funds within seven years on supporting not-for-profit institutions in the fields and for the types of people she cared about. Throughout her productive career, Varis cared about the arts and young artists and collected some contemporary glass. She also immigrated as a very young child from Greece to Brooklyn, New York. 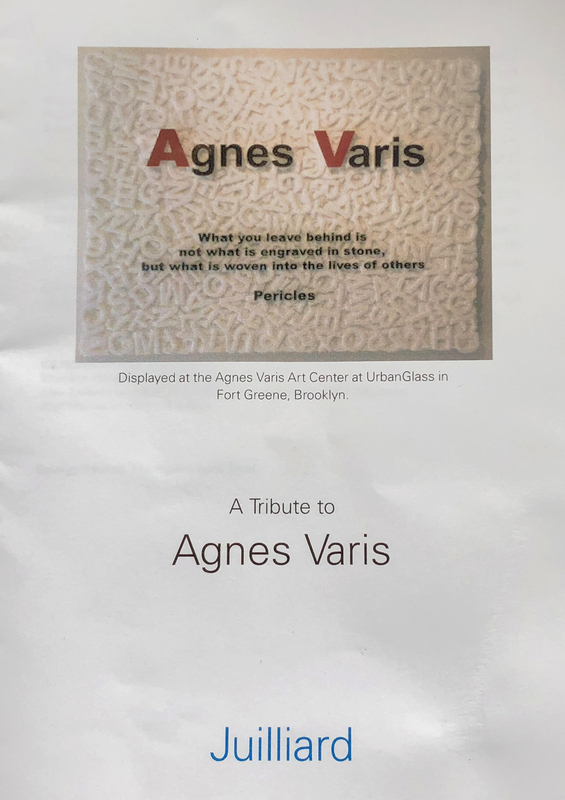 The dinner program for the event featured the plaque that adorns the wall of the Agnes Varis Art Center at UrbanGlass on its front cover. 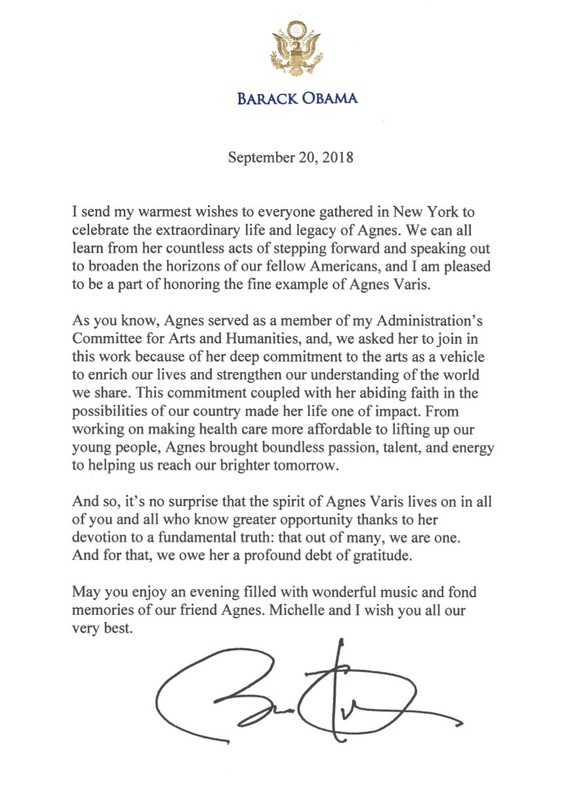 During the proceedings, an official letter from Barack Obama, for whom Varis served on his Committee for Arts and Humanities was read, extolling her generosity and many contributions.